A compromised Immune System can be the first link in the chain of events that leads to the development of Breast Cancer. A recent study indicates that women who are infected with bovine leukemia virus (BLV) are three times more likely to develop Breast Cancer than those who are not infected. To put that into perspective, that’s higher than other well known risk factors, including being obese, drinking alcohol and using hormone treatment after menopause. BLV infects the blood cells and mammary tissue of dairy and beef cattle. However, most cows don’t become sick and exhibit symptoms, but a very small percentage do develop cancer of the lymph system. For this study, researchers analyzed human breast tissue from 239 women for the presence of BLV, comparing samples from women who had Breast Cancer and those who did not. They found that 59% of Breast Cancer samples had evidence of exposure to the virus while 29% of the tissue samples from women who never had Breast Cancer showed exposure. Until this study, it was not known that BLV could be transmitted to humans. A 2007 survey by the USDA found that nearly all bulk milk tanks at both large and small dairy operations are infected by BLV. While it’s not known at this time how BLV is passed along to humans, it is speculated that it could be through the consumption of undercooked meat or unpasteurized milk or from human to human. With the development of cancer in the body, there is always a compromised Immune System. This often occurs as a result of low-grade, multiple bacterial, fungal and viral infections. Common viruses associated with cancer are Epstein Barr, HPV, and CMV(Cytomegalovirus). Unfortunately, now we have to consider BLV. 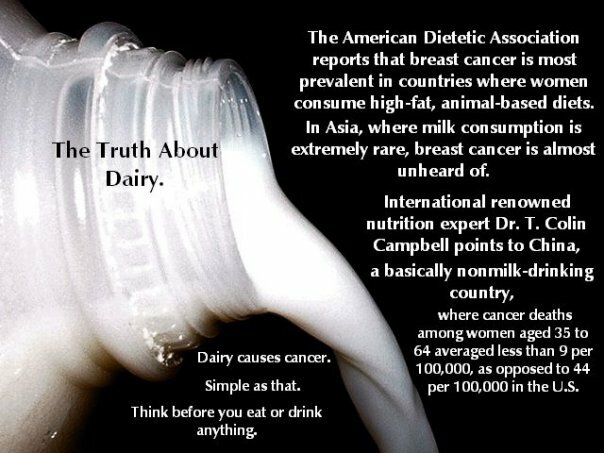 In generally dairy is something that we should limit if we have breast cancer, a history of breast cancer or if we are looking to prevent it. If you do consume dairy and other cow source products like beef it is best to make sure you get the hormone free variety – organic or grass fed. 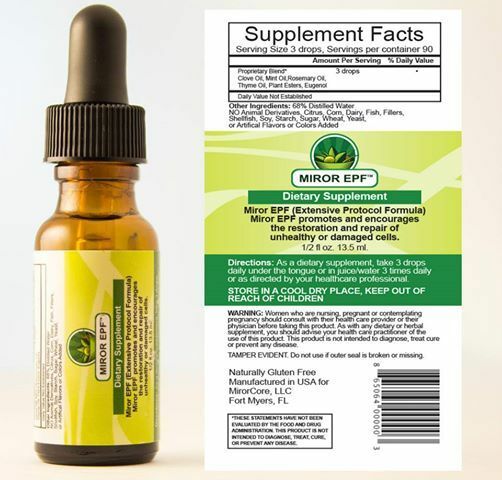 My miracle cure for viruses and to keep viruses out of your body as a preventative measure as well as a method of healing is a product called EPF. EPF wipes away pathogens – viruses, fungus, parasites, pesticides and bacteria. A couple of drops a day for prevention or 3 drops 3 times a day to treat a known issue. If find it to be an easy way for me to stay healthy. Prior to EPF I was always battling issues from pesticide poisoning from GMO foods that I accidentally ate. I was also always going to my nutritionist to heal parasites and fungus. With this product I can heal myself. It is a must for any medicine cabinet! !